Several of the artists featured in NMWA’s collection galleries create works that seem to be at odds with their materials. This discrepancy goes to the heart of the viewing experience, revealing the duplicity of the work while also calling into question the audience’s assumptions concerning the depicted forms. In creating a paradox between subject and material, these artists seek to uncover the tensions inherent in artistic representation. Sharon Core’s culinary interests led her to craft her photographic series “Thiebauds.” From 2003 to 2004, Core re-created Wayne Thiebaud’s vivid, pastel still-life paintings with her own baked and hand-decorated dessert dishes. 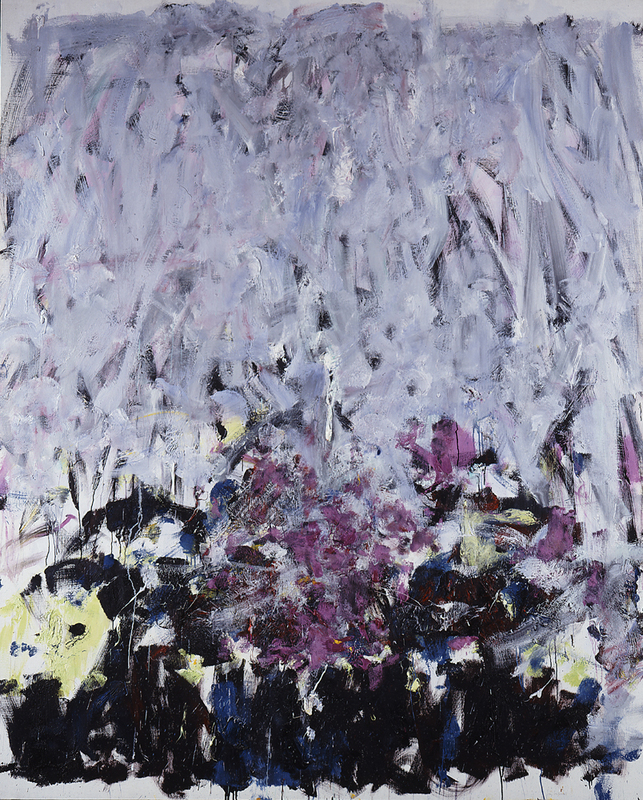 An earlier work in NMWA’s collection, Single Rose (1997), explores the distinction between delicacies and delicacy. In this photograph, a rose blooms against a tightly cropped pink background. A closer look reveals that the crumpled petals seem to be slices of meat. With this revelation, Core forces viewers to re-contextualize what they see. She substitutes the image of an elegant blossom with a parody of the rose’s associations of natural beauty. Her juxtaposition of visual truth against physical authenticity calls into question assumptions about equating representation with reality. 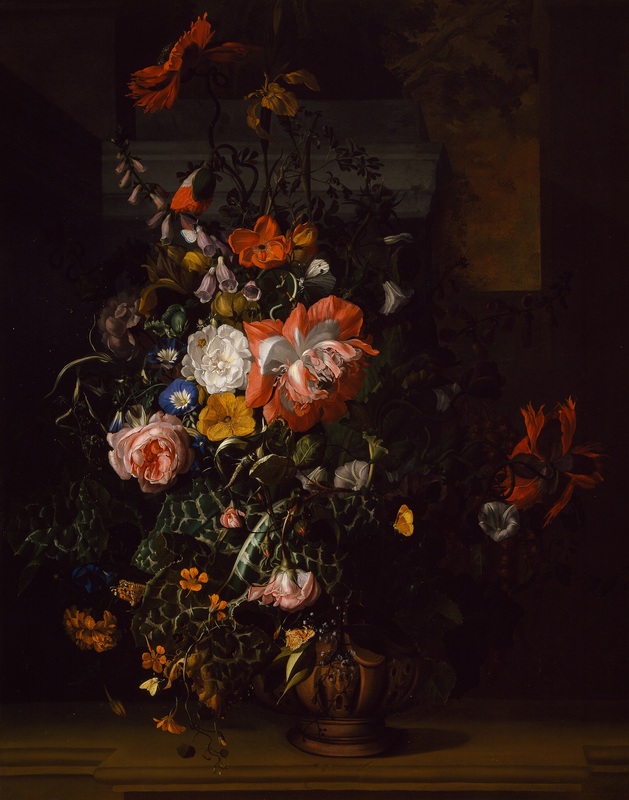 Although meat exists in nature, as do roses, the viewer’s clashing associations frame the image as an artificial construction. Core’s visual deception reveals the contradiction in these associations. 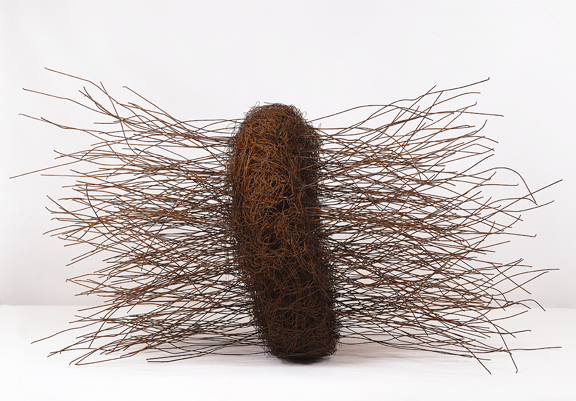 At first glance, Frida Baranek’s untitled sculpture (1991) conjures images of a bird’s nest. Only when viewers approach do they realize that what seems to be a tangle of straw is actually carefully constructed from iron wires and rods. Although the sculpture’s form appears lightweight and organic, it is heavy and industrial. Baranek is interested in using her art to comment on environmental issues in her native Brazil and around the world. Baranek’s sculptures demonstrate that even industrial debris can have meaning if reused and remade. Marisa Tellería-Díez invites contradiction in her sculpture Getting Wet (1999). 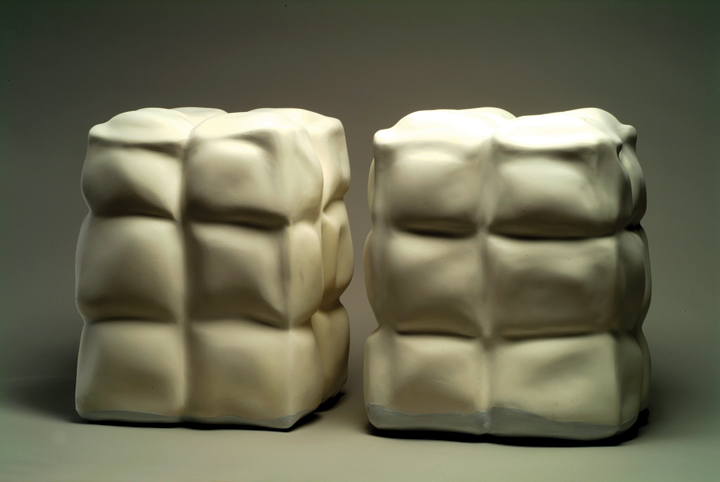 Interested in visitor perception, Tellería-Díez explores the relationship between a work’s physical reality and what she calls its “perceptual presence”—which she describes as “a presence that points not only to what’s there but also to what’s not.” While Getting Wet resembles cushy stools, closer inspection shows that its soft curves are carved from rigid materials. Shattering the correlation between the visual and the kinesthetic, Tellería-Díez draws viewers in. Perhaps meant as a tongue-in-cheek reference to the title, the bottom of the two “cushions” retain a light blue gloss, an imitation of wetness that is just as illusory as the work’s hard plaster bodies. Interested in experiencing this visual trickery firsthand? Visit the museum to see all three works in NMWA’s third floor galleries. —Xiaoxiao Meng was the summer 2017 publications and communications/marketing intern at the National Museum of Women in the Arts. Impress your friends with five fast facts about Sharon Core, whose work is currently on view at NMWA in the collection galleries and in Super Natural. 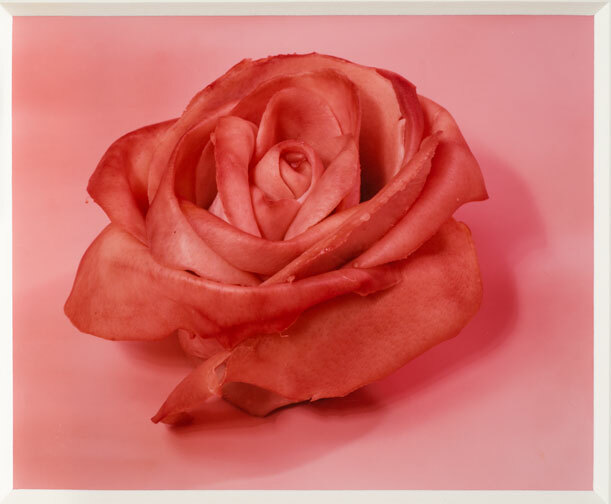 Two photographs on view in Super Natural, Single Rose and Bouquet, incorporate flower petals made from meat—purportedly from pig ears. Core studied painting at the University of Georgia and later earned an MFA in photography at Yale. Her works are inspired by or directly based on realistic paintings—such as those by 19th-century painter Raphaelle Peale. By growing heirloom vegetables and flowers, Core says, “I see the garden as an extension of my studio.” In her series imitating still-lifes by Peale, Core obtained many plants from Monticello. Thomas Jefferson kept meticulous records of his garden crops and was a friend of Peale’s family. 4. A Piece of Cake? Core also reimagined works by Wayne Thiebaud, involving baking, decorating, and arranging more than 200 brightly colored cakes and foods. Food styling was not a new skill for Core, who has also worked on shoots for a German food company, HoneyBaked Ham catalogues, and Martha Stewart Living.